This eight-legged charger is the chosen mount for Odin, chief of the Norse gods. 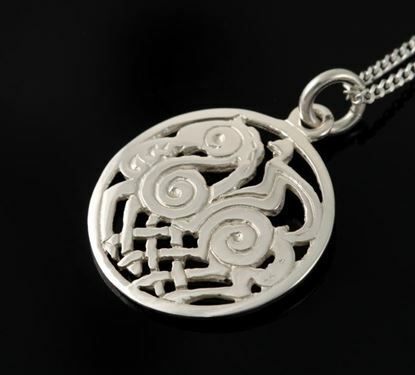 This pattern was developed by Jack Rae, the original founder of Shetland Jewellery. This Pendant depicts Odin, chief of the Norse Gods mounted on his eight-legged horse - Sleipnir. Available in four sizes. 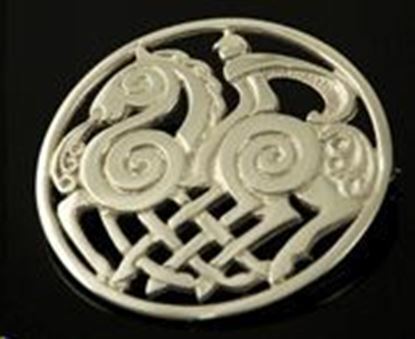 Sleipnir Brooch. Available in three sizes.